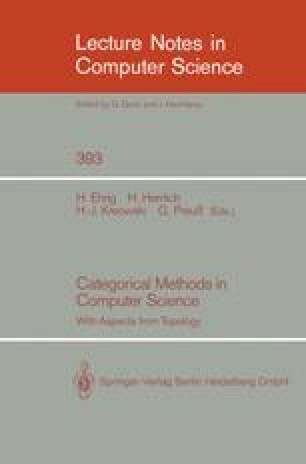 The usefulness of category-theoretic concepts for a theory of object-oriented programming is advocated. Objects (in the latter sense) are defined as objects (in the category-theoretic sense) of a category OB. Colimits in OB are used to express aggregation of objects into complex objects as well as interaction between objects. Object types consist of an identification system, the object universe, and an instantiation system, describing the instances of the type. The main result of this paper gives a semantic basis for database-like identification by keys: the object universe can be specified uniquely (up to isomorphism) employing general principles of preservation of data, distinguishability by keys, and representability by keys.